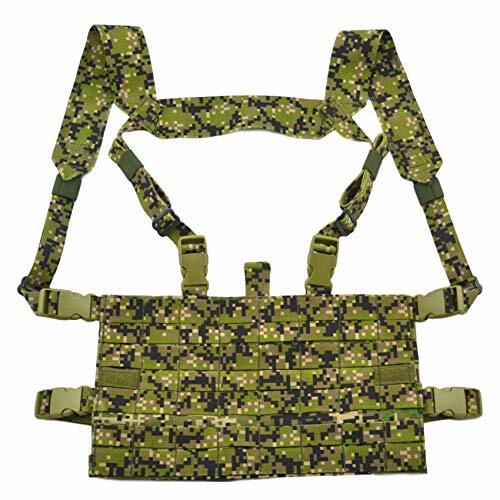 Modern chest rig platform by SPOSN company. In folded state has 5 molle lines with 8 cells on each. In unfolded state has 7 molle lines with 8 cells on each. Can be used with bodyarmor.